Mark Reginato and Louis Schofield know wine. 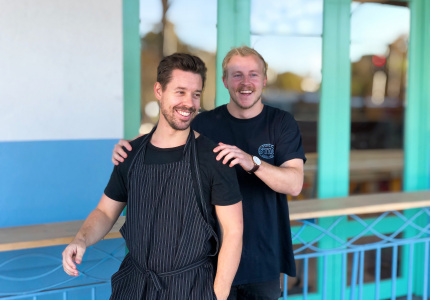 Reginato is a wine and spirit distributor and Schofield is a winemaker who came up in fine-wine retail at East End Cellars and as a sommelier at Jock Zonfrillo’s Restaurant Orana and Bistro Blackwood. 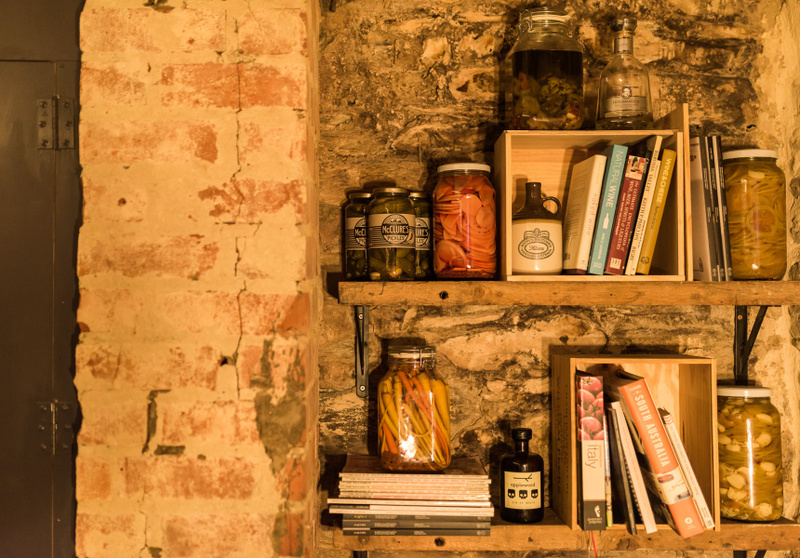 Pooling a collective 20 years in the game the pair has set up shop in a heritage Rundle Street basement – the ultimate wine cellar. 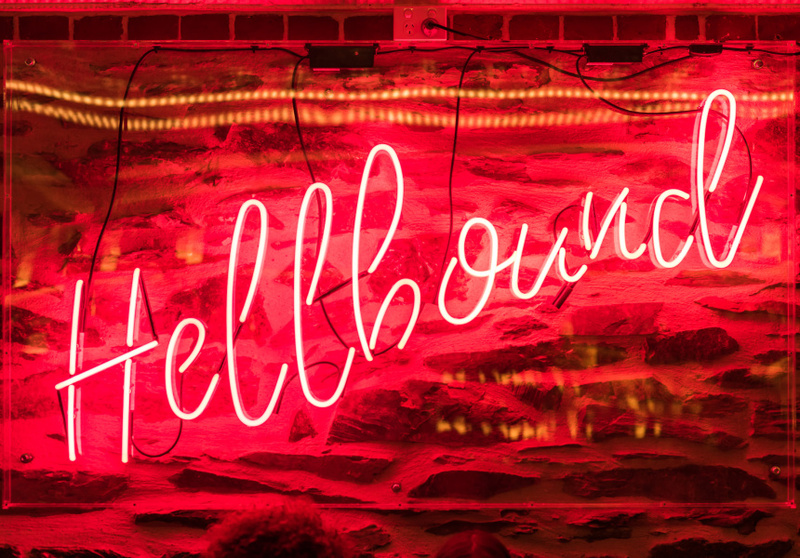 Hellbound is a wine bar first and foremost. And it is totally unpretentious. The $8-a-glass cleanskins – a Clare Valley riesling and an Eden Valley pinot noir are probably better than any house wines in the country. 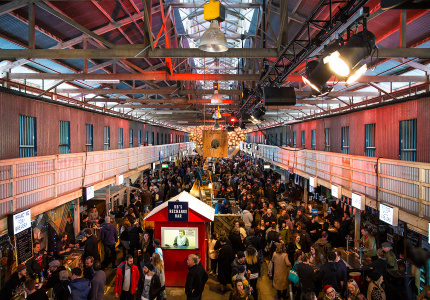 There are 20 wines by the glass – starting at $8 – and more than 200 listed bottles that soar to $2200 a pop. 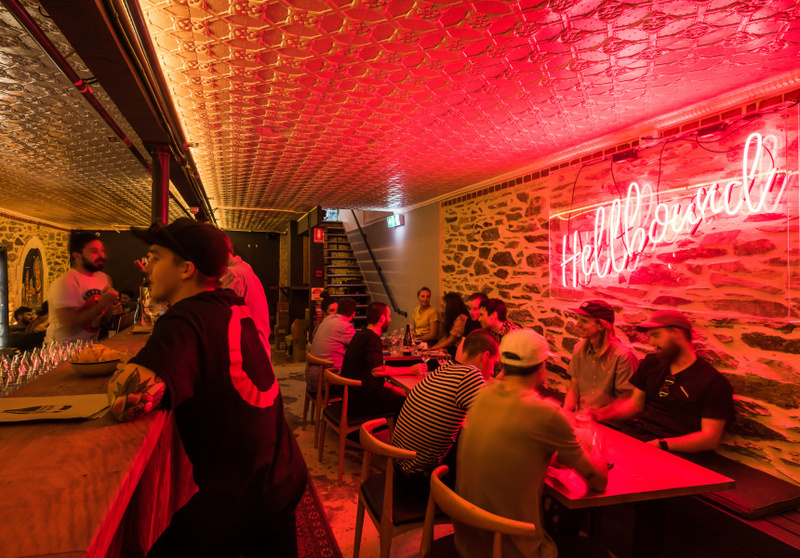 Hellbound has the state’s only Moritz Spanish lager tap, and two house cocktails: an all-Australian Negroni and a Martini. 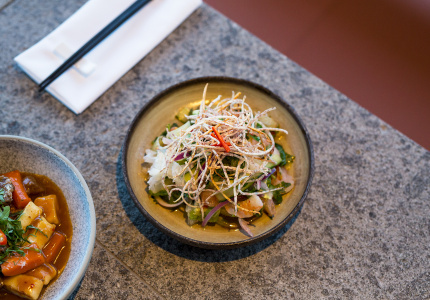 Chef Hannah Jeffrey (La Buvette, Peel St) has put together a menu that can be plated up by bar staff without too much fuss. Dishes are made to pair with wine and there’s nothing over $16. Expect a lot of cheese and other salty snacks that ache to be mopped up with bread. 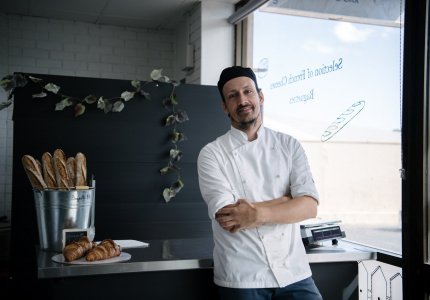 Jeffrey will mix it up but her pastrami-loaded sandwich and whipped tahini with dates and hazelnut dukkah are stayers.